Lawyers assessing legality under the antitrust laws of hospital acquisitions of physician practices face a quandary. The case law is sparse, federal enforcement guidance outdated, and academic input conflicting. Applying these muddled standards in the rapidlyevolving health care sector only magnifies the uncertainty. While most transactions will be competitively neutral or beneficial, rapidly evolving market conditions causing integration between hospitals and physicians present opportunities for consolidations that may harm consumer interests. Indeed, given the highly concentrated structure of many hospital markets in the nation, preemptive acquisitions of physician practices may be a tempting strategy for some to undermine competition. This Article offers guidance by analyzing potential theories of competitive harm and addressing factual elements necessary to establish a violation of antitrust merger law. Despite its size and immense influence over health care in America, Medicare today is no monolith. It is comprised of three distinct payment programs though which it provides services to beneficiaries: "traditional," fee-for-service (FFS) Medicare; Medicare Advantage (MA); and the Medicare Shared Savings and Pioneer accountable care organizations (ACO) programs. Antitrust law often proclaims itself in such general standards that private parties on all sides simply do not know where they stand, and the courts are often no better advised on the proper disposition of the controversy. Some uncertainty is of course inevitable, but we should be cautious about expanding it to the point that the legal rule becomes incoherent. Of the many elements animating structural change under health reform, Accountable Care Organizations (ACOs) have drawn the greatest attention. The ACO strategy entails regulatory interventions that at once aim to reshape the health care delivery system, improve outcomes, promote adoption of evidence based medicine and supportive technology, and create a platform for controlling costs under payment system reform. Ambitious aims to be sure. Implementation, however, has proved a wrenching process. This article looks at the intersection of markets and regulation under the Affordable Care Act. Specifically, it analyzes regulatory interventions under the MSSP designed to foster commercial market competition. Assessing prospects for success, it advances several interrelated arguments. First, in fulfilling the regulatory task of implementing the MSSP, regulators needed to be vigilant to protect against the potential that ACOs may have adverse effects on private markets. 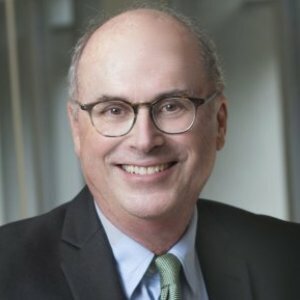 It finds that because the Centers for Medicare and Medicaid Services (CMS) was overly preoccupied with Medicare program issues and hyper-sensitive to criticism from powerful hospitals, the agency missed an important opportunity in its implementing regulations to prevent exacerbation of provider market power. Because existing legal regimes, especially antitrust law, are severely constrained in their ability to deal with extant provider market power, regulation of ACOs requires a cross-platform regulatory approach that addresses market issues.